Check out this LA Times article, where reporter Baxter Holmes gives the scoop on what's so special about X Games 16. 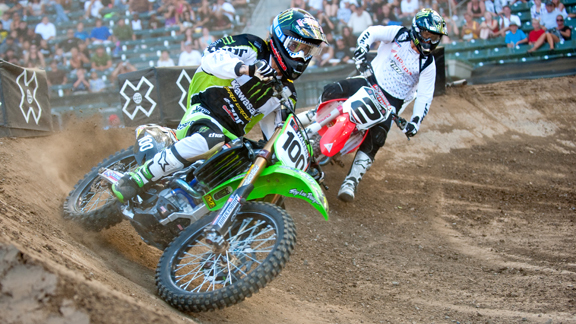 This year's games will feature two new events, and also set the stage for Supercross' LA comeback. How appropriate, since Josh Hansen just wrapped up what many have called his comeback season, and is ready to defend the gold! At X Games 16 there's something new-- and something old, revisited. Josh Hansen Gears Ups for X Games 16! EKC client, motocross champ, and "Hills" heartthrob Josh Hansen has been crazy busy the past couple weeks prepping for what he hopes will be his THIRD consecutive win at the Summer X Games. Now, the heat is on, with the Games only two days away. Josh will be competing in three events this year: Supercross, Speed & Style, and Best Whip. We can't wait to cheer him on this Thursday as he goes for yet another gold medal! Junkyard Dog, an independent film, produced by Deanna Shapiro of Huntington Beach for Bass Entertainment Pictures, will be premiering this Sunday, July 25th at The Regency Theater South Coast Village in Santa Ana near South Coast Plaza. Based on actual events, Junkyard Dog is a gritty, psychological thriller that stars Vivica A. Fox, Brad Dourif along with Innis Casey and, new-comer, Galadriel Stineman. Junkyard Dog headlined the 2010 Women's International Film Festival in Miami where both Ms. Shapiro and Ms. Fox made personal appearances at the event. Dean Hamilton, owner of Newport Pro, a professional film and television company in Santa Ana, was the cinematographer for key portions of Junkyard Dog. Deanna Shapiro recently finished producing another film for Bass Entertainment Pictures, Kill Speed, a high-octane, youth oriented, “Top Gun”-meets-“Fast & Furious” type tale. The action-packed drama stars, Robert Patrick, Tom Arnold, Shawnee Smith, Andrew Keegan, Brandon Quinn and Nick Carter (Backstreet Boys), and also features an original song by Carter. Kill Speed set a precedence in filmmaking history as the first film to have a major portion of principal photography shot and directed in mid-air from a “flying” video village while the lead actors performed their scenes while actually flying in specially outfitted, experimental aircraft. Dean Hamilton, was also Kill Speed's Second Unit Director of Photography. Following a highly successful season and a recent appearance in the final season of the “The Hills,” motocross champion Josh Hansen, 26, will take the pitcher’s mound this Saturday at 1:10 p.m., at Dodger Stadium. Hansen is currently preparing for his third consecutive gold medal at next week’s X Games 16 in Los Angeles. Known for his natural talent and inimitable smooth riding style, he secured back-to-back X Games victories in 2008 and 2009 during the Men's Moto X Super X event. This year, he’ll be competing in the Best Whip, Speed & Style, and Super X events. Catch Josh shoot for his gold medal three-peat attempt at Super X during X Games 16 at the L.A. Coliseum on Thursday, July 29. Tickets are $16 at www.ticketmaster.com/xgames. For a full schedule, visit www.xgames.com. Follow Josh Hansen on Facebook and Twitter (@JoshHansen100). For endorsements and sponsorships, contact Matt Meyerson, RPRT, matt@rp-rt.com, or 310-284-8510. To book or interview Josh Hansen, contact Eileen Koch, Eileen Koch & Company INC., at 310.441.1000 or eileen@eileenkoch.com. Please visit www.eileenkoch.com. ESPN Catches Up with Josh Hansen About X Games, "The Hills"
Two-time X Games Super X gold medalist Josh Hansen heads to "The Hills," but remains grounded, ready to win his third consecutive gold medal. If you're like 2.5 million other viewers, on Tuesday night, July 12, 2010, you tuned-in to watch the final episode of the MTV series The Hills. In that final episode appeared Team Monster Energy/Pro Circuit/Kawasaki rider Josh Hansen. A series that has followed the jet set/Lipstick City lifestyle of a few 20-something Hollywood Hills-based young women, one of the stars of the wildly popular reality series is a girl named Stephanie Pratt. Well, while the final year of production was up and running, Stephanie Pratt met Josh Hansen and the two became an item. So much so that Hansen appeared in a few of the show's final episodes. And in the very final show, Hansen brought Pratt out to show her just what he did for a living. "Josh invited me to go and watch him do Supercross," Pratt said to one of her buddies in that episode. "I'm going to go down the track." And that she did. And after Hansen rode for a while, bedazzling her, she commented, "Oh my God! No way! You're, like, the most masculine guy I've ever dated." Yep. So in the spring and summer of 2010, not only did Josh Hansen find a way back onto the victory podium (at the Salt Lake Supercross), he also managed to receive some prime time TV coverage and pull a pretty cool chick. Josh Hansen is on a bit of a roll as of late, and that's a good thing as he prepares to go after his third consecutive X Games Super X Gold Medal in two weeks' time at the ancient Los Angeles memorial Coliseum. Putting in countless laps on the Kawasaki test track, today, after a lengthy practice and test session in 103-degree heat, Hansen swung by to say hello and fill us in on what's been going on in his life. Motocross champion Josh Hansen revs up for his third consecutive gold medal at this summer’s X Games 16 in Los Angeles. Hansen, known for his natural talent and inimitable smooth riding style (inherited from his father, Donnie Hansen, former world supercross champion), secured back-to-back X Games victories in 2008 and 2009 during the Men’s Moto X Super X event. Following a comeback season, the 26-year-old has been invited to compete in this year’s following main events: Best Whip, Speed & Style and Super X. Hansen hopes to close the summer with another win under his belt. In 2009, Hansen elected to put his career on hold after the tragic loss of two close friends, choosing only four AMA races to compete in for the year. In January, renowned motocross coach Mitch Payton selected Hansen to ride the West Region for the Monster Energy/Pro Circuit team. Making what many have called a comeback, Hansen finished at the top of the season, winning the final round of the 2010 Supercross West Lites series at Salt Lake City, placing second at the AMA East/West Shootouts in Vegas, and concluding top 10 overall. Since stepping into the limelight of professional motocross at the age of 17, Hansen’s career has exploded, receiving top honors in the AMA Lites Class and Full Factory Ride sponsorships, a professional campaign that has placed him amongst the very best of the sport. X Games 16 will be held in Los Angeles from July 29-Aug 1 at the following venues: L.A. Live, L.A. Coliseum, Nokia Theater and STAPLES Center. For a full schedule, visit www.xgames.com. Follow Josh Hansen on Facebook (http://www.facebook.com/joshhansen100) and Twitter (@JoshHansen100). Josh Hansen on Season Finale of "The Hills"
Pro motocross racer Josh Hansen made an appearance on last night's finale of "The Hills." He even got to lay down a few moves at the Kawasaki track in preparation for the upcoming Summer X Games in LA. We think they make a cute couple. Wouldn't you agree? 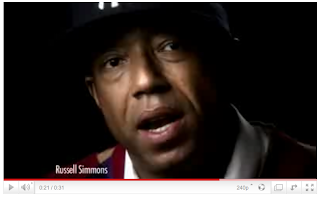 Props to Russell for using his mega-celebrity status to draw attention to such an important cause. Amigo would be proud! At one point in time, Linda Masquefa was the CEO of a finance company. Today, the Newport Beach resident is the designer of an exclusive handbag line with no more than five bags per design produced. From crocodile and python to stingray and ostrich leg, her evening minaudières (box clutches) are handcrafted using only the finest materials and most exotic skins. With a strong rapport for luxury, uniqueness and style, a Linda Masquefa handbag is the epitome of glamour. Available locally at Marque in Laguna Beach and online, they are the perfect accessory for a night out or trip abroad. 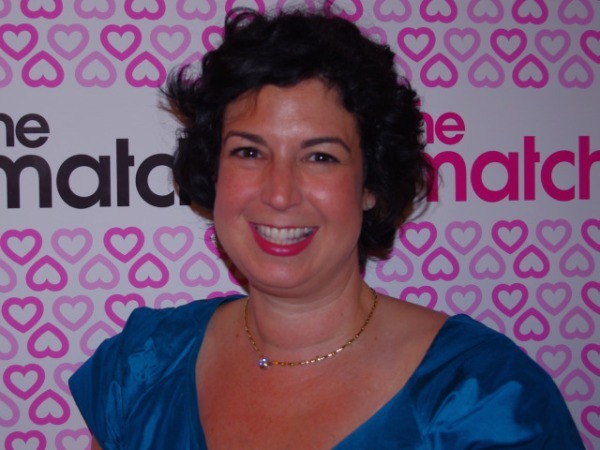 944: What sparked the change from finance company CEO to handbag designer? LINDA MASQUEFA: I was vacationing in Central and South America a few years back and my travels took me to a small crocodile farm in Panama. I became infatuated with these exotic animals and I had a sudden urge to somehow capture their amazing essence. Design was the most natural channel for me. 944: How did your new career begin? LM: When I came back from my trip, I started researching the use of exotic skins in fashion and realized that there really weren’t any U.S.-based handbag designers working exclusively with skins. My business partner and I decided that this was the perfect niche for my vision. 944: Why do you choose to use such exotic skins? LM: To me, exotic skins epitomize luxury and exclusivity. They convey a certain spirit that just can’t be expressed with “ordinary” materials. And as I said, skins really don’t have much of a presence here in the States. 944: Where do you draw inspiration from? LM: From my life! Everything from my travels to remarkable people I meet to exquisite works of art. Nature will always be a huge inspiration to me as well. 944: What designers do you wear? Josh Hansen on "The Hills"
When considering the entirety of the supercross and motocross schedules many riders keep in a season the Moto X Super X final is a mere moment; it's a thrilling 20 lap 'blip' on one hot summer afternoon in Los Angeles. For two consecutive years those 20 laps were all Josh Hansen had to his name. Until 2010, living for the moment was the best way to describe Hansen's nine year professional racing career. Dom Cooley/Shazamm/ESPN Images Gold medalist, Josh Hansen in the Moto X Super X Final at X Games 15. Hansen's story is well known. He's the talented son of a former AMA Supercross and motocross champion who learned the hard way that talent alone doesn't win races and championships. Despite annihilating the Super X field in 2008 on a bike and team he'd hastily scrapped together, Hansen spent the next 11 months jumping around to different teams and borrowed bikes before he finally found himself in a position where he didn't even want to ride motorcycles. "It's an eye opener when you know you've reached rock bottom," Hansen said. Comparing his life today with one year ago, Hansen said he had nothing. As the defending gold medalist, Hansen knew being competitive would be tough because the only bike he owned on July 1, 2009 was a clapped out KX450 that surfing legend Sunny Garcia had given him. Two weeks before the '09 X Games Hansen went to Pro Circuit to beg for a pipe and silencer for his beater ride and hit up owner Mitch Payton for help. Payton, the manager of Monster Pro Circuit Kawasaki, the most powerful non-factory team in racing shocked Josh by calling him back the following week. He was given a bike and full team support for the X Games and the X Games only. Beyond that, Payton promised, he was back on the street. Hansen repeated in '09 for another gold medal, a win as shocking as his performance a year earlier. Payton kept "Lil Hanny" on the Pro Circuit lineup but made him sweat a little by waiting until the fall to officially offer a racing deal for the 2010 AMA Supercross season. Hansen hasn't been the same since. Maybe it was hitting 'rock bottom' earlier in the summer or maybe it was the intimidation of riding under the eye and on the equipment of the best in the championship business but something happened after XG '09, something that took until the age of 25 to find -- consistency.